Created in 1893, the Municipal Art Society advocates for excellence in urban design and planning, contemporary architecture, historic preservation, and public art. People: Albert S. Bard, Harmon Goldstone, Richard Morris Hunt, Francis Keally, Jacqueline Kennedy Onassis, Geoffrey Platt, Henry Hope Reed, Whitney North Seymour, Jr. Since its inception, MAS has been a voice for growing concerns about aesthetic regulation in New York City. Whether working alone or partnering with various New York civic organizations, the Municipal Art Society has been an instrumental force in many preservation campaigns. MAS contributed to the formation of the New York City Landmarks Preservation Commission and helped draft legislation leading to the passage of the New York City Landmarks Law. MAS was very involved in the fight to regulate billboard advertisements. The Municipal Art Society had long been a proponent for using the "police powers" of the federal government for aesthetic regulation.4 Spearheaded by Albert S. Bard, board member and president in 1917, they helped draft legislation that would regulate billboard advertisements on Fifth Avenue. Although the proposed bills regulating billboard advertisement never passed, these legislative efforts would eventually lead to the passage of the Bard Act, making it possible for local municipalities to pass laws regulating private property for aesthetic reasons. MAS also helped to create New York Landmarks: Index of Architecturally Notable Structures in New York City. MAS worked with the Society of Architectural Historians to create a robust catalog that would raise awareness of the City's rich architectural heritage and form the intellectual basis for landmark designations.5 Whitney North Seymour, Jr., president of MAS at the time, was able to secure funding for this project.6 This index instigated walking tours, radio talks, publications, and exhibits that engaged the public about New York's treasured buildings. The walking tours, led by Henry Hope Reed, in addition to the exhibits, were an ongoing way to highlight neighborhoods and raise awareness of the built environment.7 Furthermore, the index led to the Landmarks of New York plaque program with the New York Community Trust, in which the MAS marked significant buildings with plaques to highlight their importance. 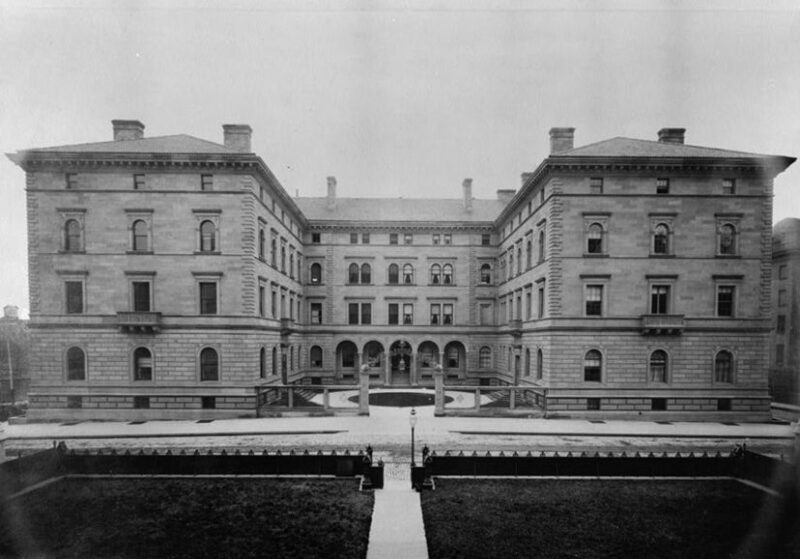 The program was used as a basis for many of the first landmarks officially designated by the New York City Landmarks Preservation Commission. On another note, the MAS helped to advance the enforcement of aesthetic controls by supporting the City Planning Commission’s Zoning Resolution in January of 1960.11 This resolution established transferable development rights, ultimately affecting the property development rights and land use in New York City. When Penn Central sued the City because regulatory control had prevented them from building a 55-story building on top of Grand Central Terminal, it was argued that these new zoning laws allowed for the company to sell their unused air rights to generate economic profit. The Supreme Court had ruled in favor of the City, because they reasoned the property had to be seen as whole and not parceled out. Since Penn Central had transferable development rights they could still make a profit on their property, therefore the Landmarks Law did not result in a regulatory "taking" of property. For the past few decades, MAS has stayed involved in preservation efforts by engaging in public advocacy, lectures, exhibits, and walking tours. They have participated in recent preservation battles including St. Bartholomew’s, Battery Park, and 2 Columbus Circle. In addition, they helped form important advocacy groups including the Historic Districts Council and Place Matters. Nathalie Dana, The Municipal Art Society: Seventy-Five Years of Service to New York (New York: Municipal Art Society, 1967). ”City’s Landmarks Subject of Study,” The New York Times, 24 January 1954. Gregory F. Gilmartin, Shaping The City: New York and the Municipal Art Society (New York: Clarkson Potter Publishers, New York 1995), page 138. ”Index of Architecturally Notable Structures in New York City,” (New York: MAS, 1953). Anthony C. Wood, Preserving New York: Winning the Right to Protect A City’s Landmarks (New York: Routledge, 2008), Chapter Five. Gregory F. Gilmartin. Shaping The City: New York and the Municipal Art Society (New York: Clarkson Potter Publishers, 1995). Anthony C. Wood, Preserving New York: Winning the Right to Protect A City’s Landmarks (New York: Routledge, 2008), page 287. ”Celebrities Ride the Rails to Save Grand Central,”The New York Times, 17 April 1978. Anthony C. Wood, Preserving New York: Winning the Right to Protect A City’s Landmarks (New York: Routledge, 2008), pages 244-245. “City’s Landmarks Subject of Study,”The New York Times, 24 January 1954.